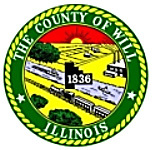 BOLINGBROOK – – Officials from the Will County Veterans’ Assistance Commission (VAC) and the Community Service Council of Northern Will County (CSC) are proud to announce a new partnership that will benefit veterans living in the Northern portion of Will County. This partnership will enable these two agencies to offer “one stop” services for their clients in a convenient location. Initially, the VAC will offer services for veterans from noon until 7:00 p.m. on the third Wednesday of each month in the CSC offices located at 440 Quadrangle Drive, Suite C, in Bolingbrook. The first day of this service will be January 16, 2019. Both Kalnicky and McNichol said they plan to expand services times based upon response from their clients. Services offered by the VAC will include assistance accessing service connected compensation, widow’s pension, and other aid and attendance information. The agency will also help veterans apply for benefits for education and job training from local, state, and federal programs. The CSC offers counseling for individuals and family, housing and financial, as well as employer assistance programs, and court-ordered programs and classes such as DUI evaluations. The CSC recently entered into a partnership with the Spanish Community Center in Joliet to expand services to the Spanish-speaking population in Will County. For more information about VAC services, call (815) 740-8389. For information about CSC services, call (815) 886-5000.